A marketing research plan is a form of project and as such may be thought of as a combination of interrelated activities that have to be carried out in a certain order so that the entire task is completed. There is a logical sequence to the interrelated activities in the sense that some of them cannot start until others are completed. 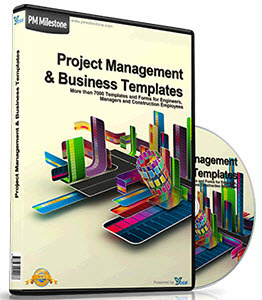 Projects and planning activities have become extremely complex and require systematic and effective management techniques to help optimise the efficiency of executing such activities. Efficiency amounts to bringing about the greatest reduction in the time to complete the scheduled activities while taking into account the economic feasibility of using available resources. 1 Planning: incorporates an in-depth analysis of the project or planning task and the construction of the network to describe it. 2 Scheduling: involves the analysis of the project or exercise to determine completion time, critical activities and the start and finish times for each activity. 3 Controlling: includes using the network and the schedule to keep track of progress and making any revisions necessary to keep the project or exercise on schedule and within budget. 3 estimating activity times and costs. Once the network has been constructed and the expected times decided it becomes possible both to determine the minimum completion time for the exercise and to schedule each activity. This stage is handled well by a computer program. At some stage in the project, it may be thought desirable to shorten the completion time. This can usually be achieved by allocating additional resources to critical activities. A minimum duration for the project or exercise will exist and further expenditure will not be able to reduce completion time below this minimum. It also has to be realised that the efficient allocation of resources requires further analysis of the project or exercise, examining time/cost tradeoffs in order to obtain the greatest time reduction per amount of money expended. 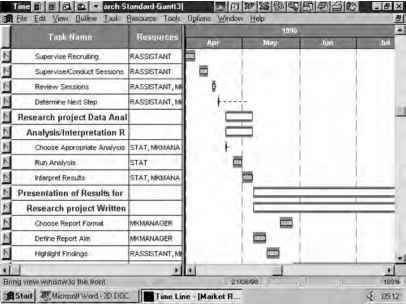 The package also includes Guide Line software that enables the user to generate project and planning schedules just by answering a series of questions. The Guide Maker add-on enables the user to create custom guides for any business situation. Guide Line is based on the idea that most projects and planning exercises have been done before. Once the user has specified project or planning exercise requirements, it produces task lists, resource allocations and time estimates for the project or exercise. Figure 2.3 shows the standard cross-tabulation view of a marketing research plan. 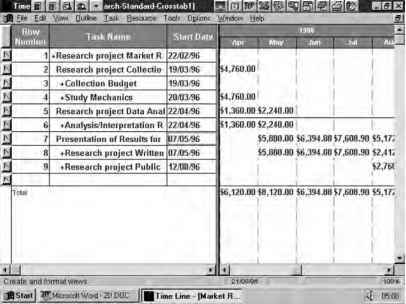 Two views or windows on the data are being displayed simultaneously. Moreover, the two views are synchronised to examine the same set of records. The two windows can be expanded or contracted to show more or fewer fields and further records can be viewed by panning down through the records to ones that are not currently displayed on the screen. 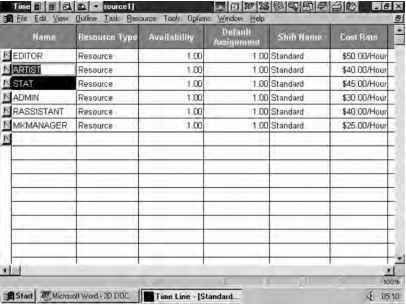 The cross-tabulation view or windows allow the user to examine the tasks that have to be completed in their logical sequence and to see how the costs will arise over time and affect cash-flow requirements. Figure 2.4 shows the standard resource view of the data along with availability and cost of each person involved in the exercise. 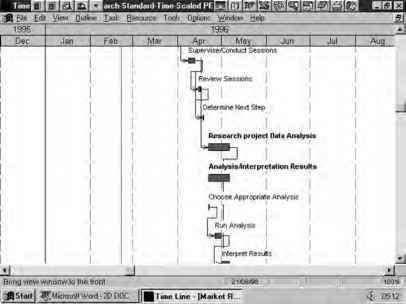 Figure 2.5 shows the standard Gantt view of the data. Here again two windows on the database are simultaneously displayed. The right-hand window shows graphically how elements of the plan take up time slots. The left-hand window identifies both the nature of the task involved and the nature of the human resource requirement to carry out the task. Once again, the user displays more or fewer fields in each window and pans through the data to examine as yet undis-played records. Figure 2.6 shows the standard time-scaled PERT graphical view of the data for the marketing plan. As above, different parts of the data can be viewed in this graphical manner by panning vertically or horizontally. In this chapter it has been argued that marketing research performs a key role in helping to solve marketing problems and improve decisions. It achieves this by producing information that helps to allay uncertainty. 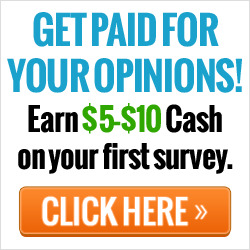 The cost and value of marketing research, however, must be taken into account when deciding how much time and effort to expend on this activity. While the benefits of good information speak for themselves, the research has to be cost-effective if it is to be used at all. Where the costs outweigh the benefits it is not desirable to undertake research. 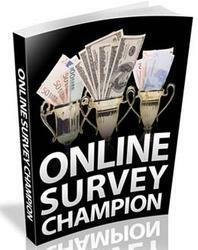 Marketing research projects are complex entities and require considerable planning, scheduling and control. This helps to coordinate a project and ensures that research information is produced within the specified period and cost specifications. Computer-based PERT network methods help to plan, schedule and control a project and facilitate savings in the cost and time required to complete the project.